Coffee. Java. Joe. Much of the world drinks it. But few people who rely on a steaming cup of it to start their day know much at all about its origins, how and where it's grown, and the nature of its journey from distant lands to their morning mug. On Saturday, March 2, visit LA's Pacific Food & Beverage Museum and learn the answers to these questions and more from Will Hyndman & Derek Jaeschke, Co-Founders of Alibi Coffee Co., a wholesale roastery and neighborhood coffee shop in the heart of Los Angeles. Guests will sample Will & Derek's coffee—and hot chocolate!—handiwork and enjoy snacks from Melissa's Produce. With a background as a first responder and Marine Corps veteran, coffee runs in the veins of Will Hyndman, Coffee Roaster & Co-Founder of Alibi Coffee Co. He was born and raised in the Northwest, where the coffee scene is a cornerstone of daily life. His palate is able to pick out tasting notes from strawberries to wet blanket, and he is currently finishing the prestigious Coffee Quality Institute Q-grader program. Derek Jaeschke is the business end and Co-Founder of Alibi Coffee Co. He has renaissance tendencies, with career paths and hobbies spanning all areas, and is f­orever fascinated with the challenge of disrupting an industry that's based on a 99% imported, globally-traded commodity, in an effort to find an ethically-sourced and high-quality cup of coffee. Together, the two aim to activate their love for all things coffee as an excuse and vehicle to push Alibi Coffee Co. and the industry past third-wave culture into a fresh and exciting future. Alibi Coffee Co. unites coffee sourcing, roasting, and serving all into a hip neighborhood coffee shop in the heart of historic Los Angeles. Alibi serves up impeccable coffee without pretension and is community driven, with a focus on old-school customer service. We are passionate about coffee with a blue collar feel and prices to match. The owners renovated our 1922 building with reclaimed touches, including a stunning chandelier that lights our pool table beneath and wood counters created with the lathe from the walls, fostering a space where customers and staff can experience coffee and friendship. Alibi Coffee Co. extends beyond our four walls to great restaurants and cafes the we passionately support through our wholesale arm. We hire local and are very serious about not taking ourselves and our coffee too seriously. Our staff are challenged to engage customers and educate, while continuing to learn themselves. If coffee isn’t your cup of tea, we'll we do that too. All of this comes back to ethical sourcing, classic roasting, and humble presentation. We’d like to get out of the way and let the coffee speak for itself. 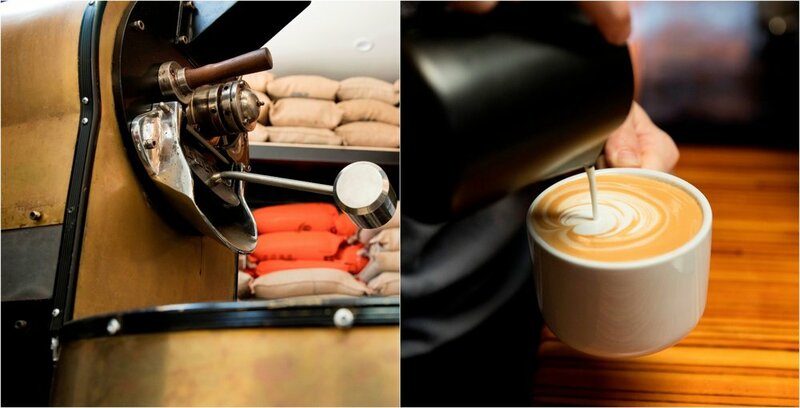 It's the perfect conduit for great ideas and relationships, creating a destination for lovers of coffee and culture.